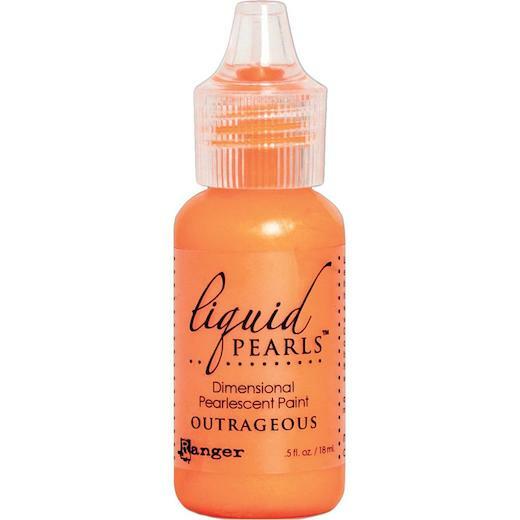 Ranger Liquid Pearls are a versatile, dimensional pearlescent paint that dries permanent when used on paper and fabric. It's a glue, dimensional decoration and pearl paint all in one! Paint with a brush or use the fine nib bottle tip for application. Use the easy flow tip for precision application and to create pearly accents easily. Dot, draw, outline, colour-in, write, glue, border and paint.